Stereolithography (SLA) is the oldest additive technology and has been used for over 30 years. This does not make the technology outdated, but the most mature and reliable technology in rapid prototyping. Stereolithography generates superior surfaces and high-accuracy models. 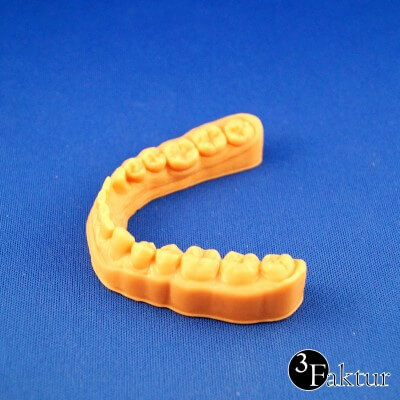 The main application of the technology are precise, high-quality plastic prototypes. There are two types of SLA technology machines, one prints the model upwards (‘bottom-up’), and the other prints the model downwards (‘top-down’). Furthermore, the UV light source can be either a laser or projector (i.e. DLP). With a DLP (Digital Light Processing) system the whole model layer pattern can be projected simultaneously instead of drawing the pattern with the single point of a laser. This means DLP 3D printers are both faster and often cheaper in cost, but have resolution limitations so are usually limited to smaller build spaces. Since the part is surrounded by liquid resin in both technologies, both require support structures for overhanging geometry to prevent those sections from moving out of position from the rest of the model..
No additive technology has been in the market as long as Stereolithography. Still, when it comes to high quality, high accuracy prototyping parts, Stereolithography sets the standard. The surfaces are smooth and can be polished or coated. Unlike Polyjet or MJM, which rivals Stereolithography in surface quality and accuracy, SLA is a cost-efficient technology even for larger parts. Stereolithography is used to create high-quality visual prototypes. This includes technical (e.g. cases, mechanic parts) parts, as well as design studies (e.g. elements in architectural models, design models for new car models). In general, SLA uses UV curable resins. Those are normally on epoxy- or acrylic-base, more rarely on a vinyl-base. All resins are liquid, and solidify when exposed to UV. While there were only a few, mostly low-performance resins in the beginning, there are plenty of high-performance materials available today, with a wide range of characteristics. 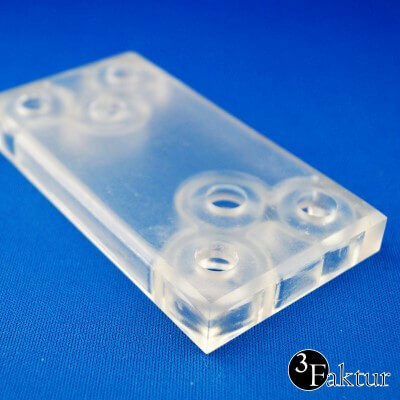 Our SLA Detail Resin with ABS like properties is a translucent high-quality material. 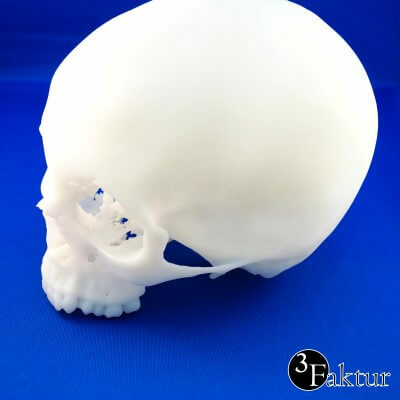 It allows smooth surfaces, high-resolution and excellent accuracy models. This material is used for investment casting. It allows a very high-resolution and can be easily post-processed. Stereolithography had to be developed several times before it actually hit the market. 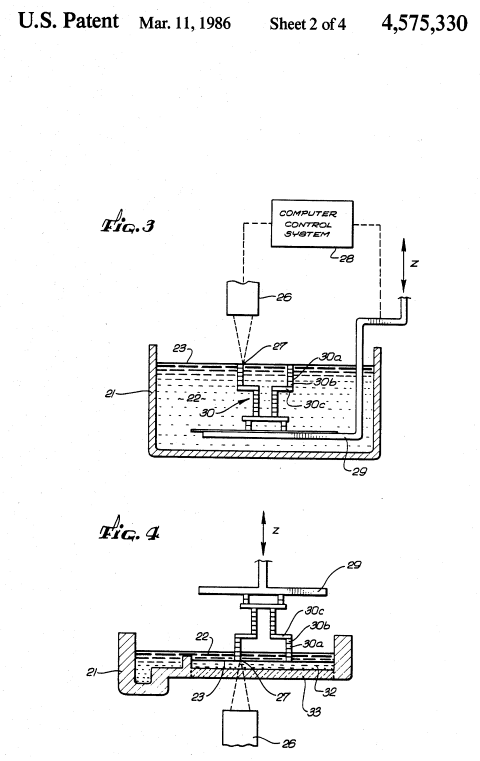 The first attempts date back to 1971, when Wyn Kelly Swainson registered a patent. He described the creation of 3D objects out of photopolymers. However, his work was interrupted in the 1980s, as his method proved to be impractical. In the 1970s, Dr. Hideo Kodama made a new attempt. He was the first to describe the layer-by-layer construction we recognize in modern SLA 3D printing. The breakthrough finally happened almost simultaneously by a group of french engineers – Alan Le Mehaute, Jean Claude André and Olivier de Witte – and the American Chuck Hull. 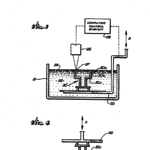 The work of the French team was unfortunately abandoned due to lack of business perspective so ultimately Chuck Hull was able to successfully commercialize the technology, coining the word “stereolithography” along the way. With his development Hull then founded today’s industry giant 3D-Systems. His great work also includes many fundamental technologies, such as the STL file format and slicing software. 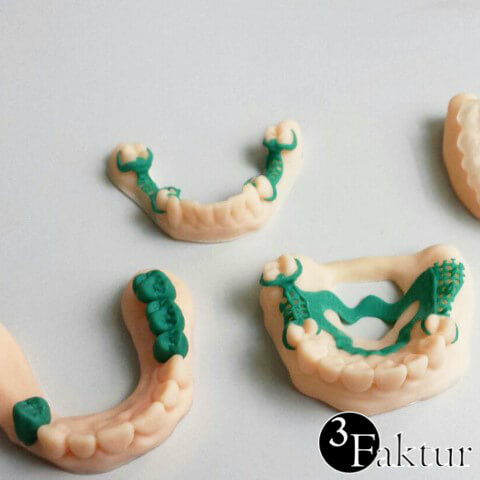 Those inventions were instrumental in making the present 3D printing world possible. Part of the original draft created by Chuck Hull from the patent register. Picture: Google Patents. Upload your model for an instant price quote or send us a manual request.